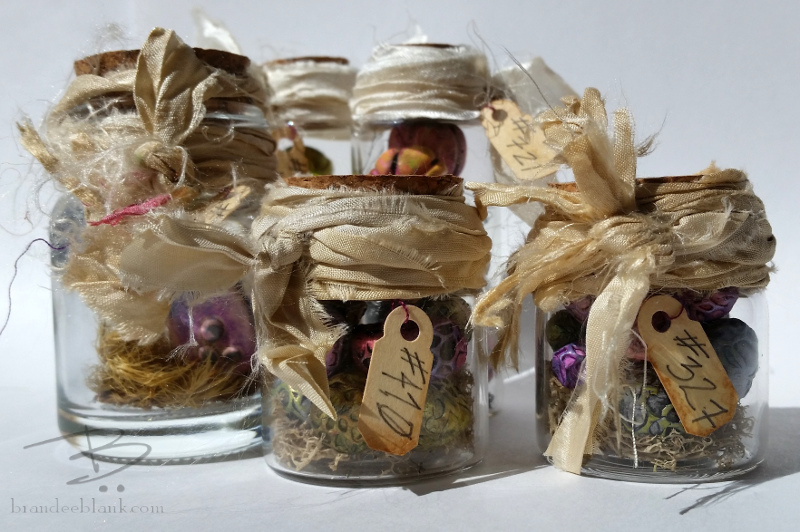 In any case, I picked up loads of these little bottles last month, and decided to make something that I would like to see in a cabinet. Behold! I write to you today with the most interesting of propositions. The famous Professors Chester O. Kensington and Sir Thaddeus R. Vandeviere have found, in one of their many daring journeys into the unknown countryside far to the west, the most peculiar of botanical specimens. I am sure that you are already familiar with their triumphs and wonders in the worlds of cryptobiology and botany. And yet, as with all serious forms of inquiry, even the most studied intellectuals must turn to their peers in the hopes of broadening their compendium of knowledge. And this, my dearest, is where you come in. I have in my possession several such mysterious exhibits, and the express permissions of sirs K. and V. to send them to those intelligentsia who may be able to shed light on their morphology. It is most curious that we have been given the privilege to peek into their secret investigations, and indeed, they have all but admitted defeat in the cataloging of these ‘odd pods’ as they ever so diplomatically refer to them. I implore you to look upon these specimens and deliver your thoughts directly to K. and V. as I have instructed them to expect your post.